Everybody may start at 7:00 am (no later for the two longer rides). 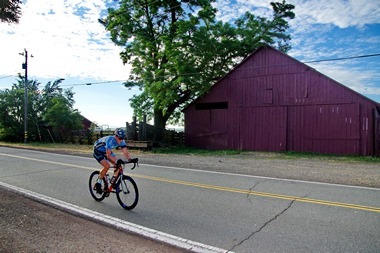 100k riders must start no later than 8:00 am, and 25-mile riders must start no later than 9:00 am. Fall River Mills is nestled in a pristine northeastern California valley. 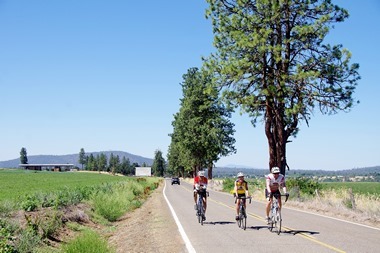 The area offers many opportunities to ride in solitude with commanding views of two of California's famous volcanoes: Mt Shasta to the northwest and Lassen Peak to the south. 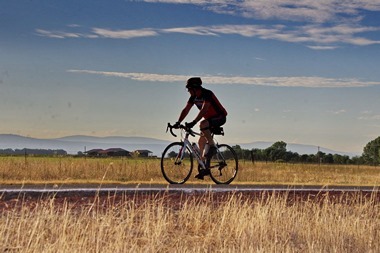 We've planned a spectacular ride for you on a great route that capitalizes on this and other scenic wonders of the area. 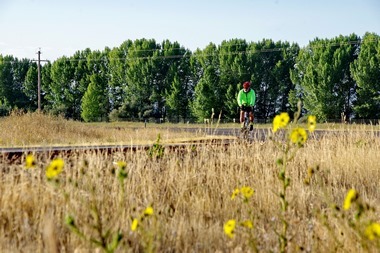 The century and double metric routes have been changed slightly to take advantage of newly widened and rebuilt Highway 299. On the fairgrounds Friday 5:00pm 'till dark, this event will showcase local farm products like beer, beef and wild rice. Area artists will display their surprising creations. 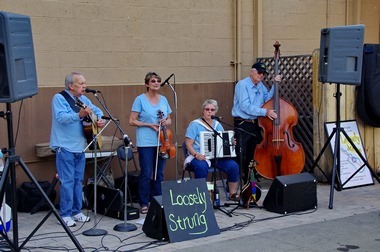 Live music is provided at no extra charge! Beer is a farm product, isn't it? The Willis Hollenbeck Post, American Legion, will make a pancake breakfast available the morning of the ride. The price is included for registered riders. Additional breakfasts can be purchased for $8.00. Expect a hearty, excellent meal! This year the after-ride meal will be provided by the Fall River Hotel. The meal will include pasta for a main dish as well as side dishes and dessert. There will be a vegetarian option for the main dish. Last year the hotel did a fantastic job with street tacos and we anticipate another great meal for this year. 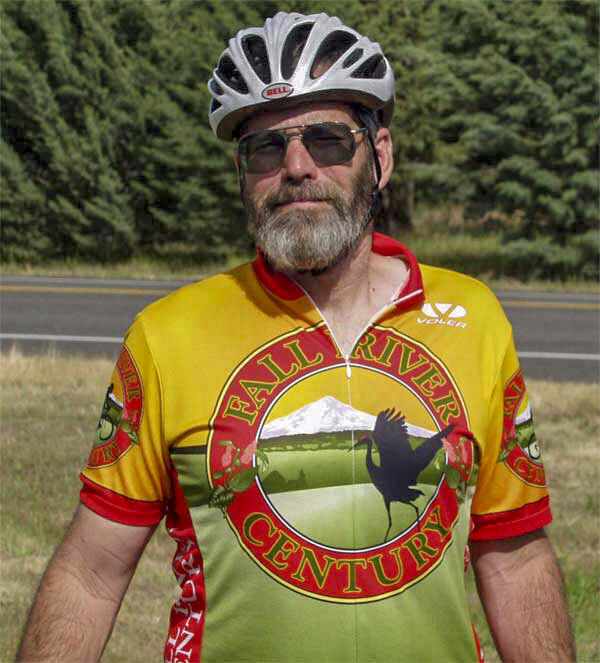 In 1995, a group of devoted cyclists decided it would be fun to put on a century. There were five of us then, and there’s five of us now, with two hanging on from that first year. We had two goals: put on a fun ride and enjoy doing it and bring a little business to town. We were flying by the seat of our pants, using what we knew about rides we had done. One thing we knew was that when Ride Day finally arrived, five people stood no chance of doing this alone. So, we set about doing a little recruiting. We needed help with food, both the breakfast on the day of the ride, and the after-ride meal, not to mention the rest stops and SAG wagons. We approached civic and charitable groups around town and asked them for help. We said we had no idea (and we really didn’t) if there would be anything in it for them besides a day’s work. But we did promise that, once we paid all our bills, we would divide the net proceeds (if any) among the helpers. We drew about 120 riders in 1995, and we did have a little money left over. We kept some for start up money to be used the following year and wrote some modest checks for our helpers. The all-volunteer organizations were happy for a shot in the arm, even if the amounts were not the sort of thing that would turn your head. Time went by and we made some improvements. The routes that first year were not well thought out. In the second year, we debuted the routes that are still in use today. In an area where suitable roads are scarce, the options are limited, but we think we’ve done a good job of providing some variety. There is enough climbing to satisfy most, and quite a few opportunities to enjoy a remarkable variety of landscapes. We’re especially proud of the views on offer of our two local volcanoes, Mt. 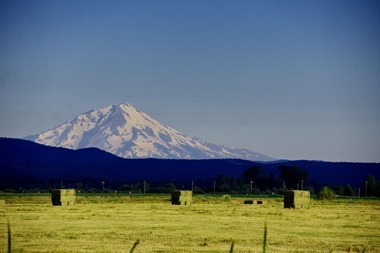 Shasta and Lassen Peak. Ridership increased, and with it, so did our ability to bump up the size of our donations to the groups that help us. In 24 years, we have placed an aggregate of about $140,000 in the hands of several very worthwhile organizations. We would like you to know who they are. The Fort Crook Historical Society is responsible for setting up, taking down and cleaning up after the post-ride meal. They do a huge job for us and spend a very long couple of days doing it. The Willis Hollenbeak Post #369, American Legion, provides your breakfast. This work is quite involved, as they take care of procuring the groceries, bringing in the cooking equipment and cooking your breakfast. Then, after a long morning, the clean up begins for them. When they leave, you see no trace of their presence except a bunch of satisfied cyclists. These jerseys will be available on the day of the ride for $70.00 each. Your very first encounter with helpers on the road is at the Dana Store. 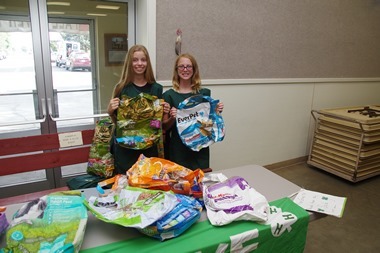 The store has been closed a long time, but the Pine Grove 4-H club is there to encourage you along the way with water, sweets, bananas and a smile! 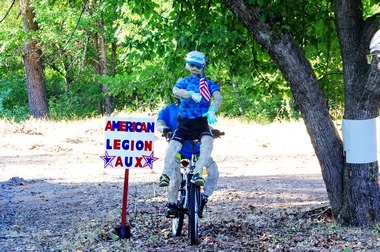 Your first rest stop, at Clark Creek Lodge near Lake Britton, is operated by the American Legion Auxiliary. 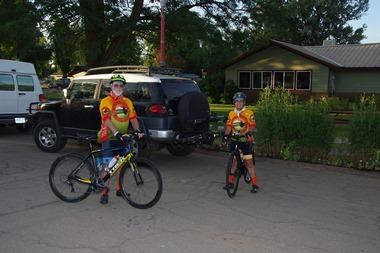 They arrive very early in order to be prepared for your arrival and provide encouragement for the many miles ahead. Next up is the Cassel rest stop, manned by volunteers from the youth group from Word of Life Assembly. Proceeds assist in youth activities and are much appreciated. They are happy to see to it that you are headed in the right direction as you leave. They would not want you to miss Six Mile Hill! The lunch stop in Fall River Mills is taken care of by the Inter-Mountain Fair Heritage Foundation. This shady spot is a lunch stop for some and the first rest stop for others. Their share of the profits supports our local fair, now in its one hundred and first year. It’s important to know that California no longer supports county and district fairs, so this sort of involvement is a great thing, not only for the riders, but for all those who derive so much from the fair, which is The Social Event of the year in our community, not to mention a chance to show off your work in the big variety of exhibits every Labor Day weekend. About six miles later, you can water up at a stop operated by SNIPPP, a local group that is concerned about animal welfare. These folks have developed a spay and neuter program that is free of charge to pet owners or others that are trying to get the population of unwanted pets under control. They also help folks locate lost pets. For many, the next stop is the incomparable Bob’s Creek Water Stop, staffed by volunteers that put on the Summer Art Camp each year. The Camp is offered to school kids as a means of enriching their lives through the visual arts. Proceeds are used to purchase supplies for this worthwhile annual event. 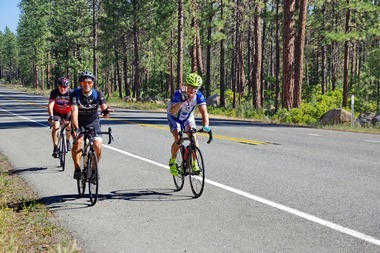 At the top of the climb, the Little Valley Volunteer Fire Department provides another lunch stop for the metric and double metric riders. There is no other rest stop like this one, not anywhere. These folks are very pleased to see you, and happy to help! 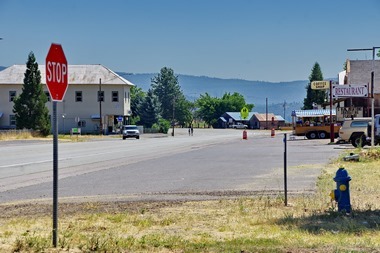 Their community is economically depressed following the closure of a sawmill many years ago, and the dollars injected into their department go a long way. 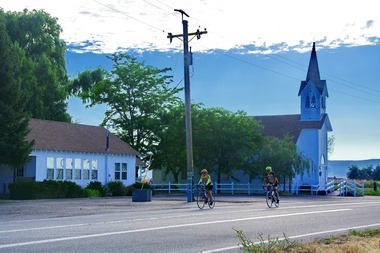 The Lassen Bench rest stop is run by the cheerful volunteers of the Fall River Valley Library. You’ll find shade and a smile there. One of the victims of shifting priorities at the county government level has been the outlying branch libraries. Local bookworms decided this is wrong, all wrong, and they did something about it. Your participation in this ride helps them to continue their good work. At the end of Day Road, you’ll find the Award-Winning Day Rest Stop, which, for many years, was operated by the Day Community Club. That club is now disbanded, and the rest stop is operated by Little Country Church of McArthur, but the people are still the same. You get cool showers there. No kidding: COOL SHOWERS! And then, after the last 20 miles or so, you are back at the fairgrounds, enjoying a fine after ride meal. Several groups have put this meal on during the life of the century, including the Boy Scouts, Future Farmers of America, and a local chef interested in helping budding chefs get an education. It is now cheerfully provided by the employees of the historic Fall River Hotel. RV and tent spots at the Inter-Mountain Fairground will be available. Showers will be available for campers. 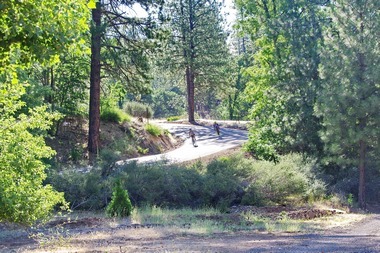 Campgrounds in the Hat Creek Ranger District are the closest to the Fall River Valley. PG&E also has campgrounds in the area. NOTE: For on-site registration fees or merchandise purchases please bring cash or a check. 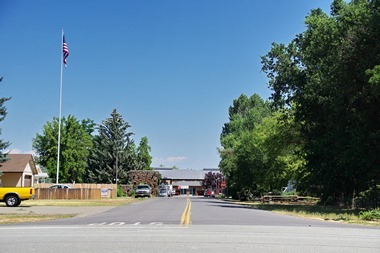 Fall River Mills is on State Hwy 299, 72 miles North East of Redding. 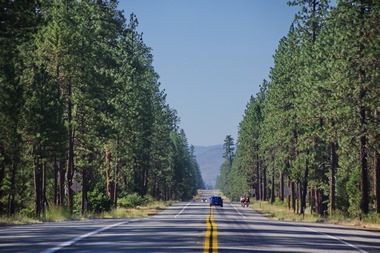 Travelers coming from the North should travel SR 89 South from Mt Shasta, then East on 299 about 11 miles. As always, we’ll be riding from the Inter-Mountain Fairgrounds, located in McArthur, about four miles northeast of Fall River Mills. You will have green lawns for your tents and a very relaxed atmosphere. Due to recent cuts in fairground funding we will be charging $5 per person for camping. There are large trees and plenty of room for everybody. Don't miss out on a great time hanging out with great people! Make it a priority to take part in our ride. See some volcanoes, see some beautiful water, enjoy the farmland and livestock. Marvel at the (mostly) fabulous pavement and keep an eye out for a Sandhill Crane. But, most of all, visit us for a great ride, supported by friendly, helpful people. We look forward to seeing you! Dr. Michael S. Maier, D.C. Although they do not write us a check, we must recognize the Inter-Mountain Fair for providing an outstanding facility that serves as the hub for all the day’s activities. The Ride Crew is keenly aware of, and most grateful for all the enthusiasm and support received from this generous community. 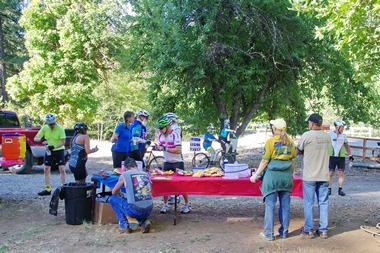 We feel as if we have settled on a great way of doing things, from which so many benefit, from the riders that enjoy the event to the support volunteers that get a kick out of helping. Yes, you really can see it in their smiles.